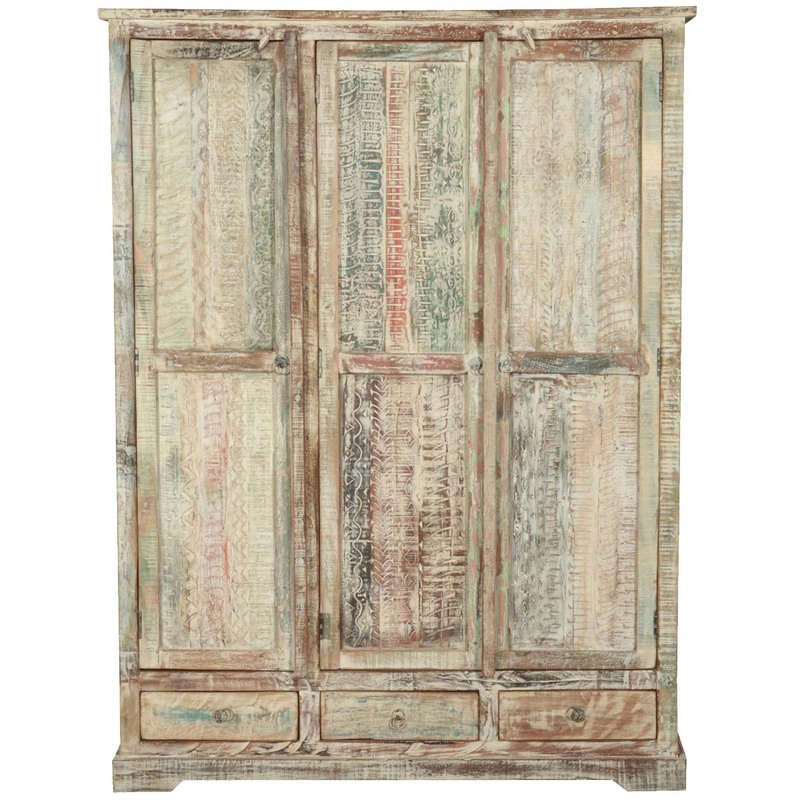 Stylish, space-efficient wardrobes are the answer to all of your space shortage woes, and you can get the best of all worlds with our stunning, ergonomic and incredibly stylish Woodsburgh White Washed Reclaimed Wood Large Wardrobe Armoire With Drawers! 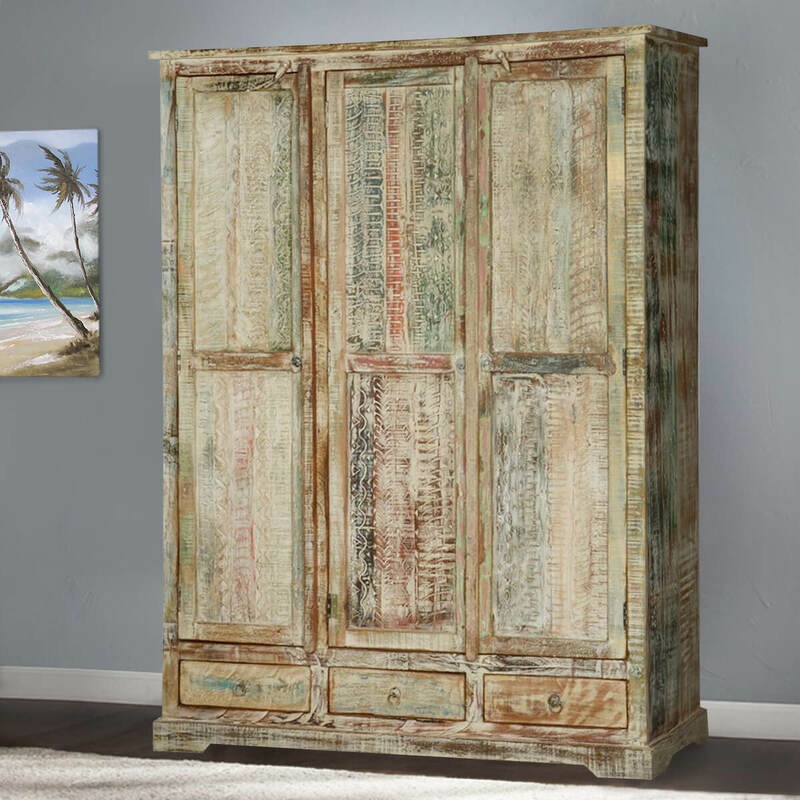 Featuring a triple threat of fashionable aesthetics, abundant storage space and a charismatic overall outlook, this solid reclaimed wood armoire wardrobe comes with a gorgeously distressed, white-washed wood finish and three pull-out drawers at the bottom for easy and handy storage. 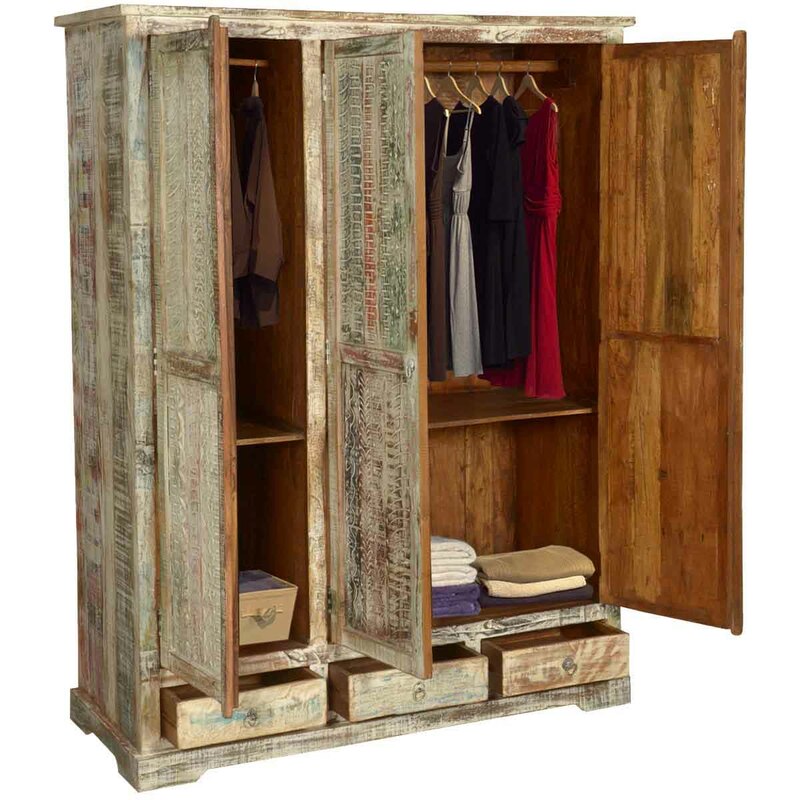 Above the drawers is the camouflaged three-door design – it seems like the wardrobe has 3 doors, but it’s actually a double-door leaf on the right and a single-door leaf on the left. 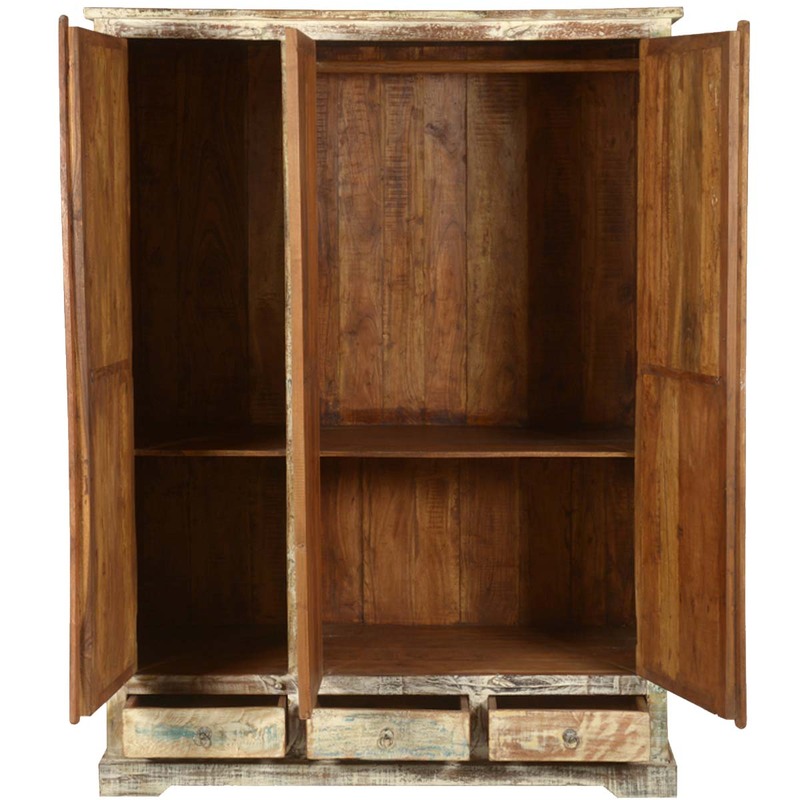 The inside of this solid reclaimed wood wardrobe armoire is a cornucopia of abundant storage space where it’s divided into two vertical and horizontal compartments. 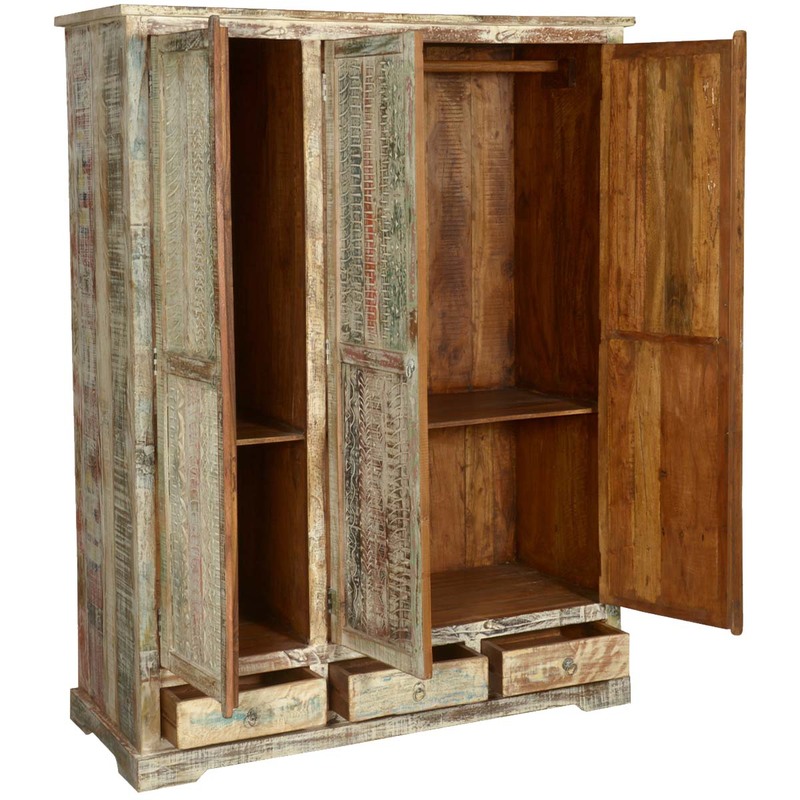 The upper half consists of a wooden hanging rod while the bottom shelves and the top left smaller shelf can be used to store tall objects and folded laundry. 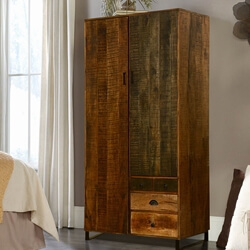 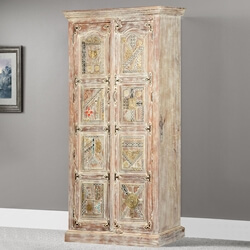 Handcrafted with solid reclaimed wood, this wardrobe armoire definitely boasts a sturdy, durable heirloom quality along with a beautiful finish that has been naturally seasoned with the passage of time. 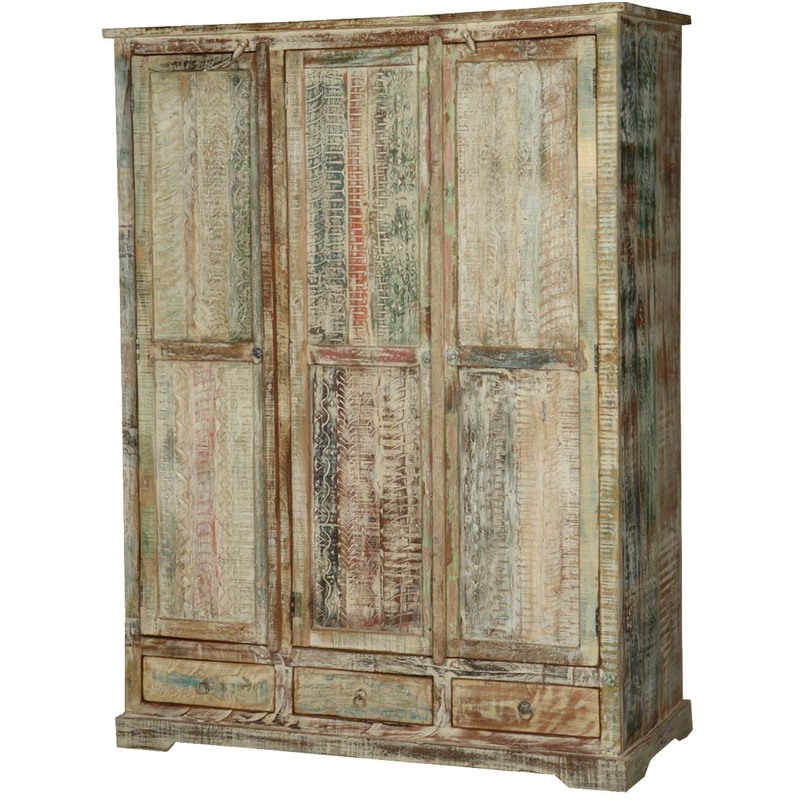 Aside from all its visual and pragmatic prowess, this solid wood rustic armoire also features a versatile aesthetic. 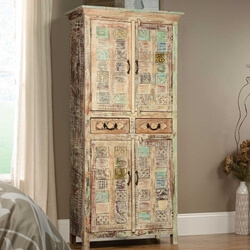 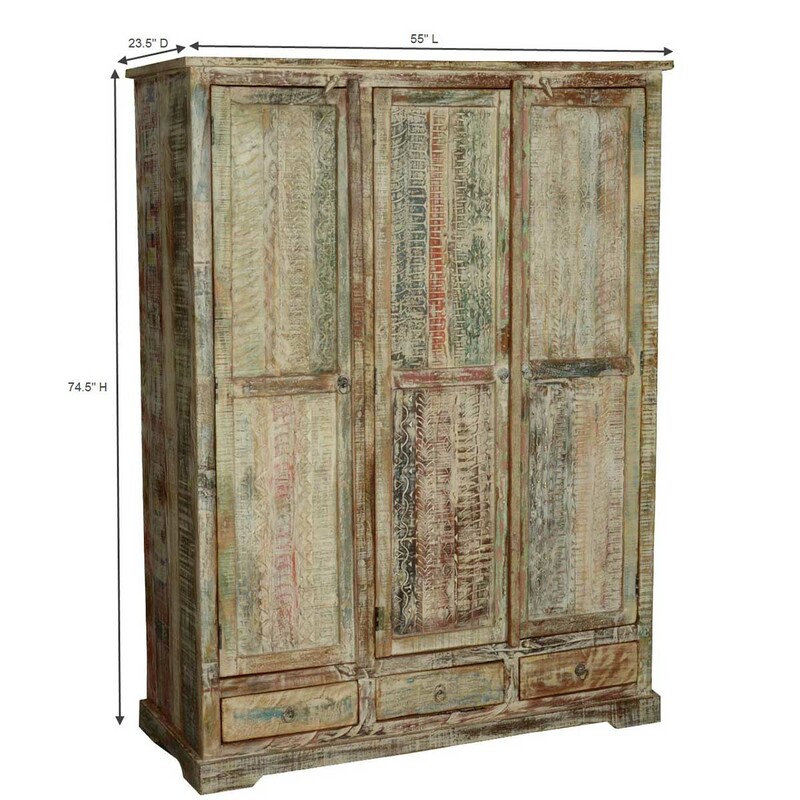 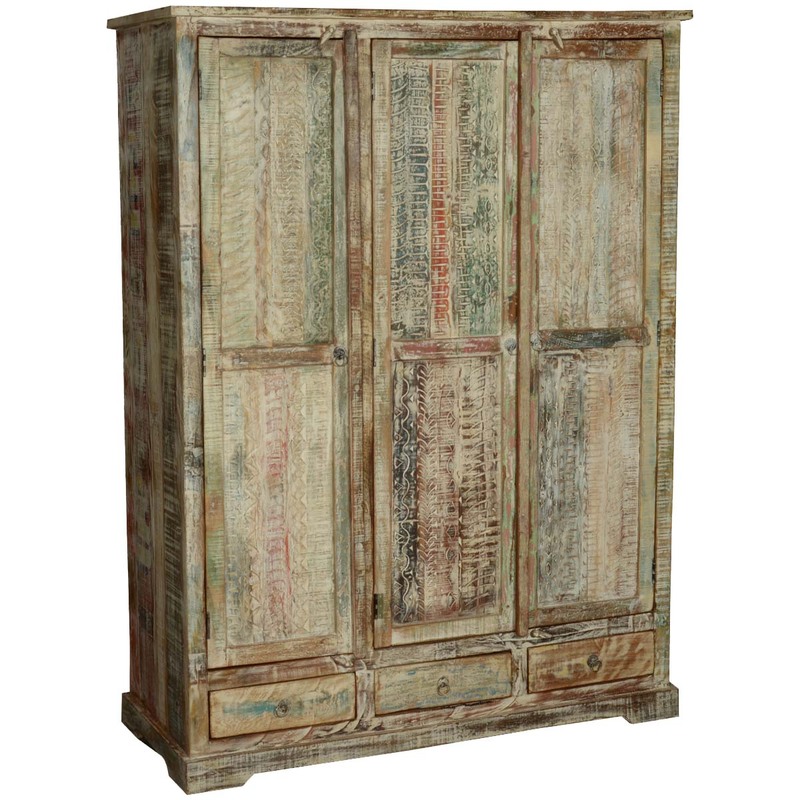 From shabby-chic to industrial and even modern-retro styles, this large wardrobe armoire can complement all. 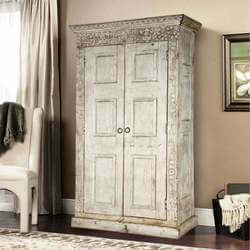 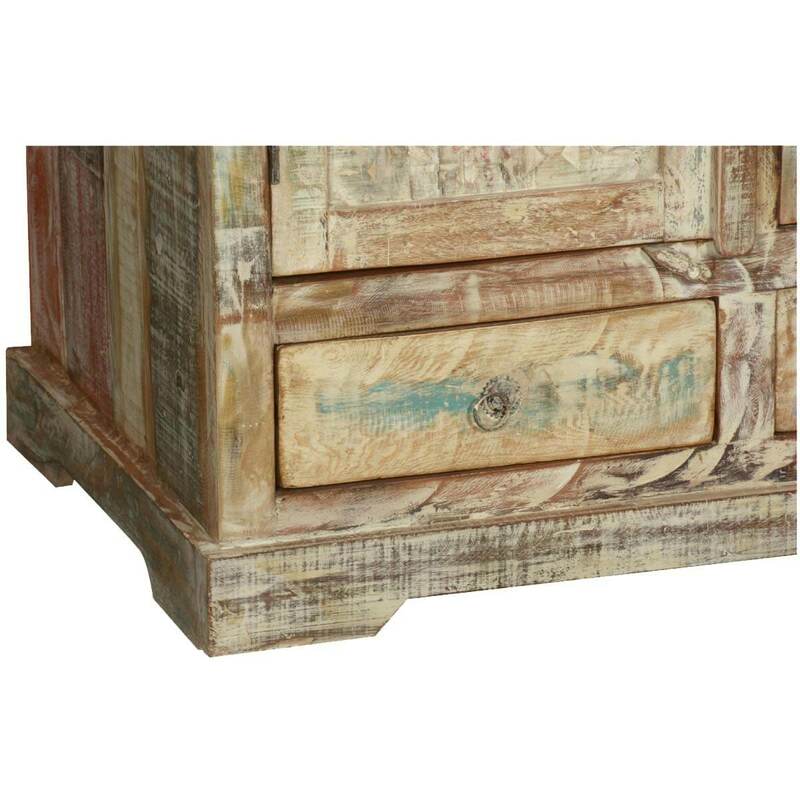 It would also make a hip addition to a country chic or contemporary style ambiance!